We have worked on Sitecore Commerce 8.2.1 implementation for couple of months last year. We were importing catalog from xml file that was generated from client’s old database as sql script. All products, categories and so on were generated like that. 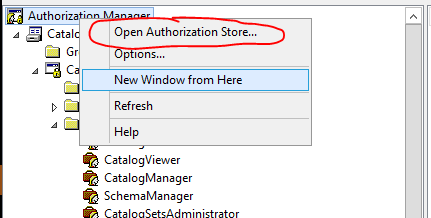 On local DEV machine we only used “Administrator” local Windows account and we had no trouble with using tooling from Sitecore Commerce to adjust data imported. We set and configured TEST environment. Team members from client side also wanted to adjust some things so we created user accounts for them. 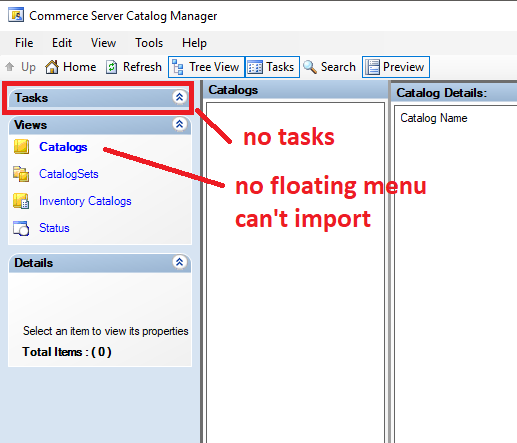 Client representatives immediately reached us that they are not able to add product and basically work anyhow in Commerce Server Catalog Manager. 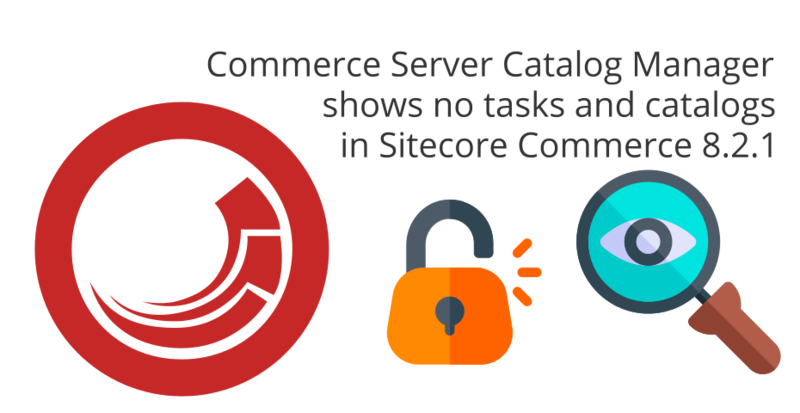 No tasks, no catalogs, nothing could be done through Sitecore Commerce Server Catalog Manager. Root cause of this problem was of course with access rights that are defined using Authorization Manager (AzMan). Commerce Server Catalog Manager accesses the Commerce Server Catalog Web services using Windows Authentication. 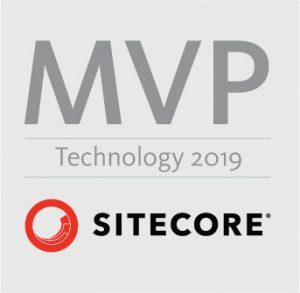 Therefore when you start Sitecore Commerce Catalog Manager it accesses the Web services with the user account you are currently logged into Windows. It is working in browser just fine as the interface uses CSFndRuntimeUser to access webservices. 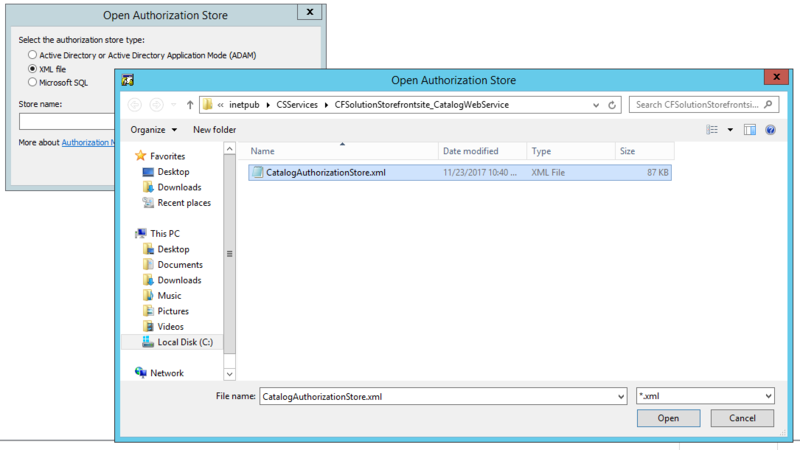 You need to add your local Windows/domain user using Authorization Manager, to the CatalogAuthorizationStore.xml file that’s in the Catalog webservices folder as an administrator. Even though this article was written in 2006 it really helped us. Restart machine (just to be sure :-)) Can’t recall whether this was mandatory or not. I have replied the same also to question on Stack Exchange.